Home » Gifts Of Faith » Crosses / Crucifixes » Confirmation Cross Seven Gifts Mahogany 8"
Mahogany wall cross 8 inches. Perfect for any occasion but especially for one celebrating the Sacrament of Confirmation. 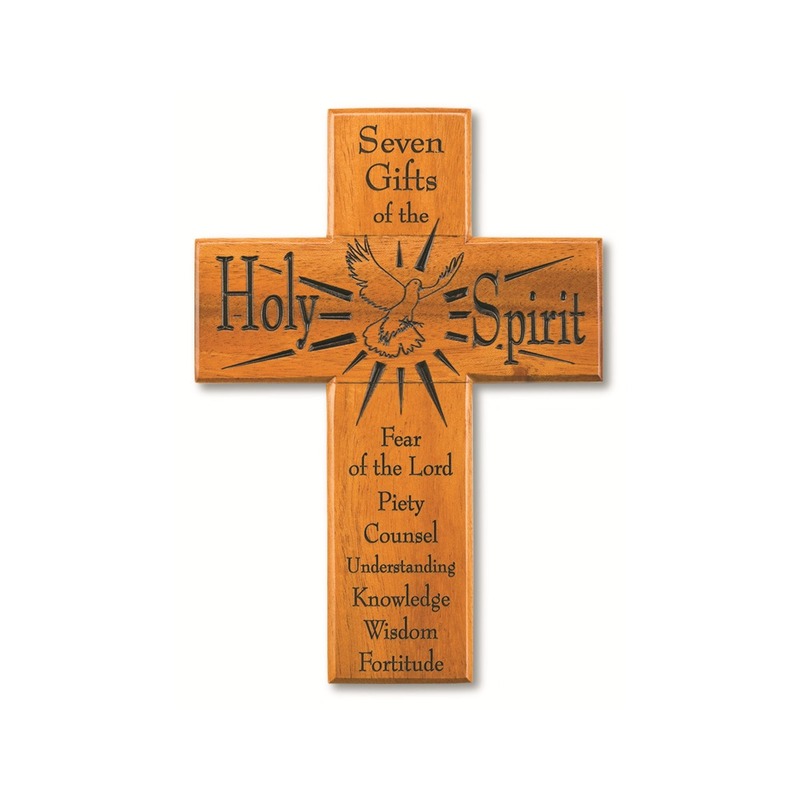 This wooden wall cross features "Seven Gifts of the Holy Spirit" along with each gift that strengthens us during our spiritual journey: Fear of the Lord, Piety, Counsel, Understanding, Knowledge, Wisdom, and Fortitude. A beautiful reminder of the careful guidance of the Holy Spirit in our lives. Beveled edges and laser carved lettering. Makes the perfect confirmation gift for a young lady or young man.